A new update is now live for Sea Of Thieves on both PC and Xbox One, introducing new content as well as some tweaks. All the details of the new update have been detailed in a new video, which can be watched below. This week’s update, which is 3.65 GB big, introduces Skeleton Ship battles, the new Cursed Crew event, Cursed Cannonballs in the world, tweaked crates, doubled controller sensitivity and more. Sea Of Thieves is receiving plenty of additional content for free, and the team is determined in keeping things this way. Earlier this month, design director Mike Chapman spoke about the matter and how monetization will work. We will never charge for those new content releases, because that would segregate our players. […] The idea of having to buy an expansion in order to play with your friends – we’d never do that. We have no plans locked in place now on when we’d add monetization. 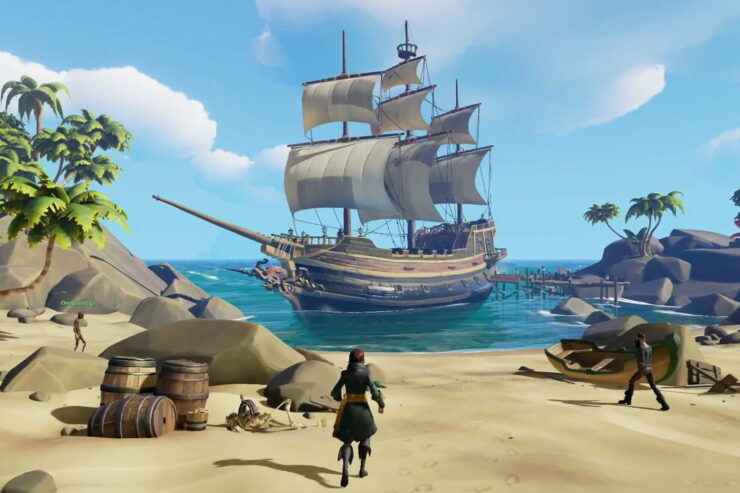 The one thing I will say is if we do that, we won’t just take something from another game and put it into Sea of Thieves. The way we’ve looked at mechanics, tried to innovate and do things differently, we’d want to do that with monetization as well. It’s not just about taking another approach and forcing it into Sea of Thieves. With all of our mechanics, it has to feel at home. We won’t step on the shoes of the gameplay, we won’t segregate our players, we certainly never would do pay-to-win. It would be around something that players love, and a way for them to keep enjoying the content. Sea of Thieves is now available on PC and Xbox One in all regions.